Promotional photo courtesy of the URI Theater Department, taken by Randy Osga. Over the summer, the University of Rhode Island’s production of “Mary Poppins” won multiple awards at the 2018 Motif Theater Awards. 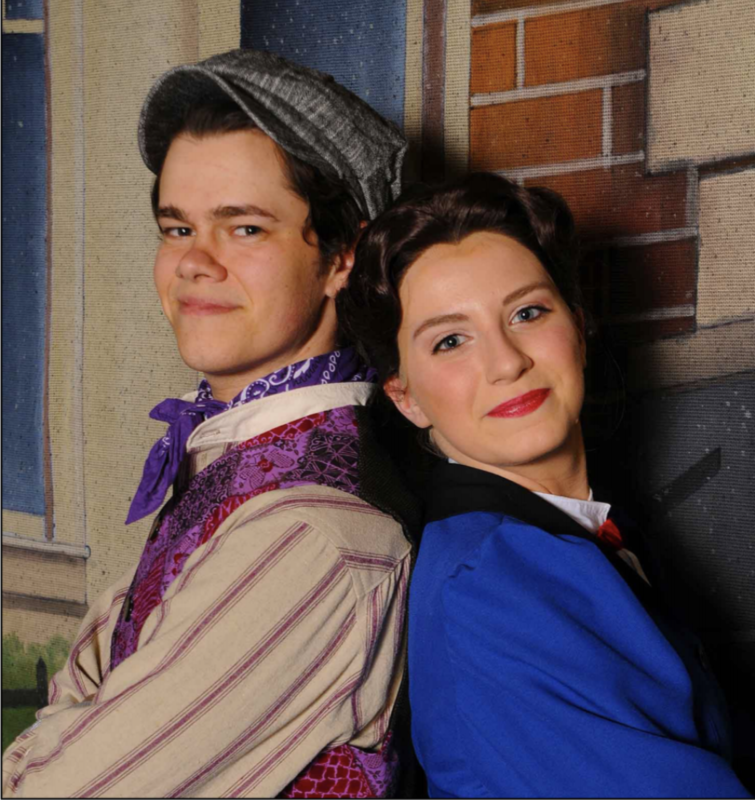 Among the winners were the choreographer Nicole Chagnon and the two stars of the show who played Mary Poppins and Bert, Emily Turtle and Brooks Shatraw. The production also took home the highest honor, being named the 2018 Production of the Year. Both Turtle and Shatraw were pleasantly surprised to find their names among the list of nominees, which included friends and other great performers from schools across Rhode Island. Neither of them expected the nominations, despite their pride in their own performances and the production itself. Shatraw was happy enough to have their production recognized months after their performances concluded. At the awards ceremony in August, Turtle and Brooks were more shocked to find themselves announced as the winners of 2018 Female Performance and 2018 Male Performance. “Going up and representing URI theatre was the most special part of [winning],” Turtle said. They give credit to the faculty at URI and the theatre program for their wins and the progress they have made since enrolling. Starting out Shatraw had a slightly different experience than Turtle, having been a transfer student. 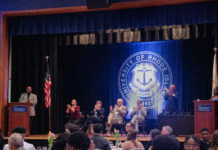 When deciding whether or not he wanted to attend URI, Shatraw attended one of the University’s performances of “Legally Blonde.” He was impressed by the work of all of the departments and how connected everyone was. After witnessing this bond he made the decision to commit to URI. “I think that the work ethic that they’ve put upon us has really helped me, especially when I first transferred here,” Brooks said. Turtle described the program as “family-oriented” and both actors are extremely appreciative to the program for allowing them to become involved in all aspects of theater. Turtle has big dreams ahead of her that include playing the iconic role of Christine Daaé in “Phantom of the Opera” and the newer role of Anya in “Anastasia.” She would also like to dabble in voice acting, whether it’s starring in a children’s’ television program or just being the voice for audiobooks. First, Turtle intends to audition for graduate school programs and try to work in regional productions and national tours. As for Shatraw, he has dreams of playing Phoebe in “As You Like It” and would love to move to Los Angeles to pursue film and TV acting with his Theatre Arts degree that has allowed him to find interests outside of acting, such as writing and directing. He would love to direct his own productions and believes he will be involved in theatre in multiple capacities for the rest of his life. The award-winning actors will appear on the URI stages again in a production of “Women & War” directed by Kira Hawkridge. Shatraw will be playing Poseidon/Spartan Delegate, while Turtle will be playing Andromache in Act One and Old Woman number one in Act Two. Performances will run from Oct. 11 to the 21. Shatraw is also excited to be playing Gary/Roger in “Noises Off,” which will run from Nov. 29 to Dec. 8.